If you think you may have a lead water service line on your property, you need to take immediate steps to replace it to protect you and your family. 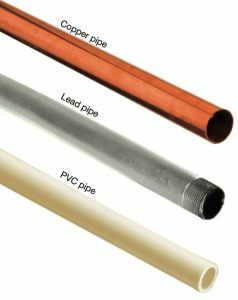 PVWC offers a low-cost, zero-interest program to help customers replace lead service lines on their property. If you think you have a lead service line at your home, call our Customer Service Department at 973-340-4300 and tell them that you think you may have a lead service line and that you’d like to discuss your options for having PVWC assist you in replacing the lead service line. Or email us at customerservice@pvwc.com and let us know that you’d like to speak with a customer service representative about replacing a customer-owned service line on your property.